As the largest hub of travel in North Western Europe, getting into Amsterdam is easy and possible from anywhere on the planet. With one of the biggest airports in the world (number 16 in 2012) there are direct flights from all the other major cities in the world. Traveling by train is possible from nearly every European capital. Amsterdam’s Central Station is als one of the most beautiful train stations in the world. So you’ll start your trip in a historical atmosphere. 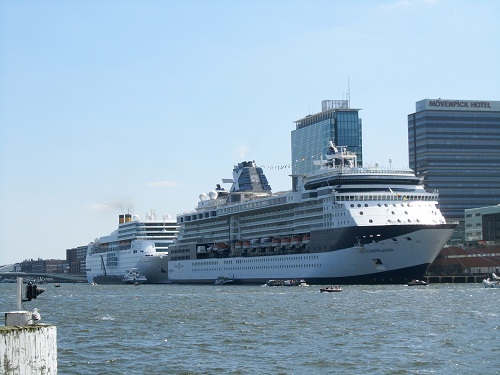 The last ten year the city has also expanded on cruise ship capacity. The new terminal right in the city centre is a great spot to start your trip if you travel by boat. 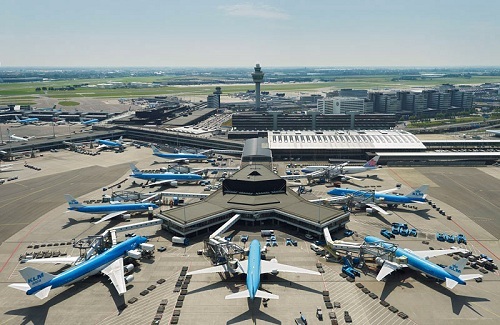 Get more information on Amsterdam Schiphol Airport here. Stepping out of a train on Amsterdam’s famous Central Station is a wonderful experience. Train tickets are available from cities such as Paris, Brussels, London, Zurich, Prague and Frankfurt. The trains in the Netherlands are generally very clean and have on board catering services. 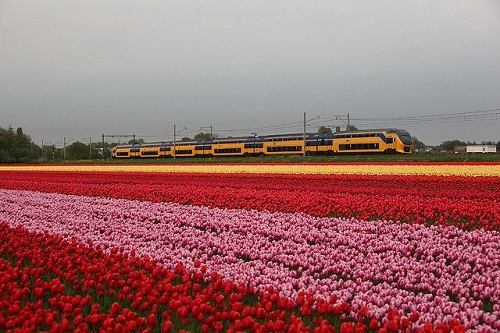 More info on high speeds trains that are available in Amsterdam here. The new Passenger Terminal Amsterdam is a modern building built close to Central Station. The perfect start or end of a cruise through Europe’s seas from the Baltic to the Meditteranean. The Netherlands is famous for its top quality highways. As soon as you pass the border you travel on seemingly brand new and comfortable roads. It’s less than a two hour drive to either the German or Belgian borders. 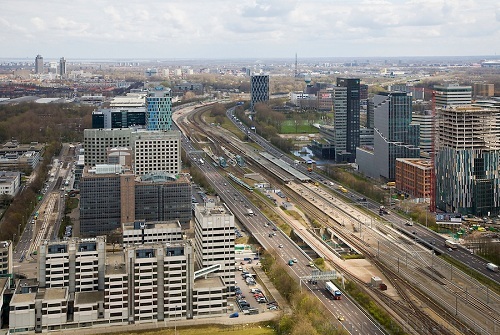 Cities like Paris, Brussels, London and Frankfurt are all within a six hour drive from Amsterdam. The maximum speed in the Netherlands is 130 km/h.